Two grain elevators, Shaunavon, SK, March 2018. Copyright by Michael Truman. 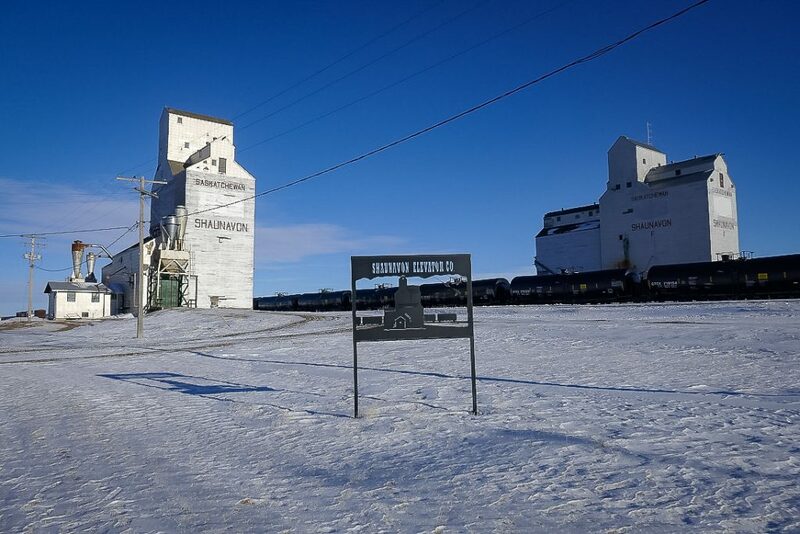 The town of Shaunavon, Saskatchewan has two grain elevators. Both are former Saskatchewan Wheat Pool elevators – the former “C” and “F” elevators, on opposite sides of the railway track. 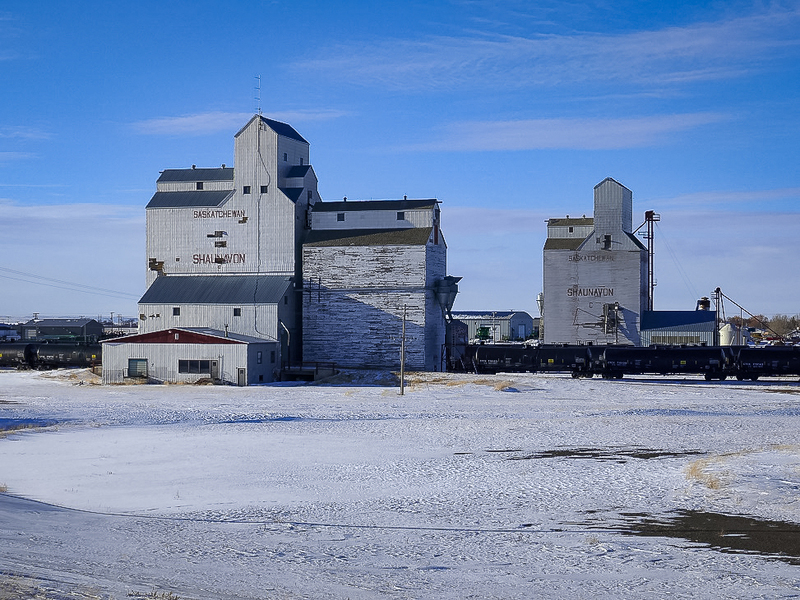 Shaunavon Elevator Company and elevators, Shaunavon, SK, March 2018. Copyright by Michael Truman. 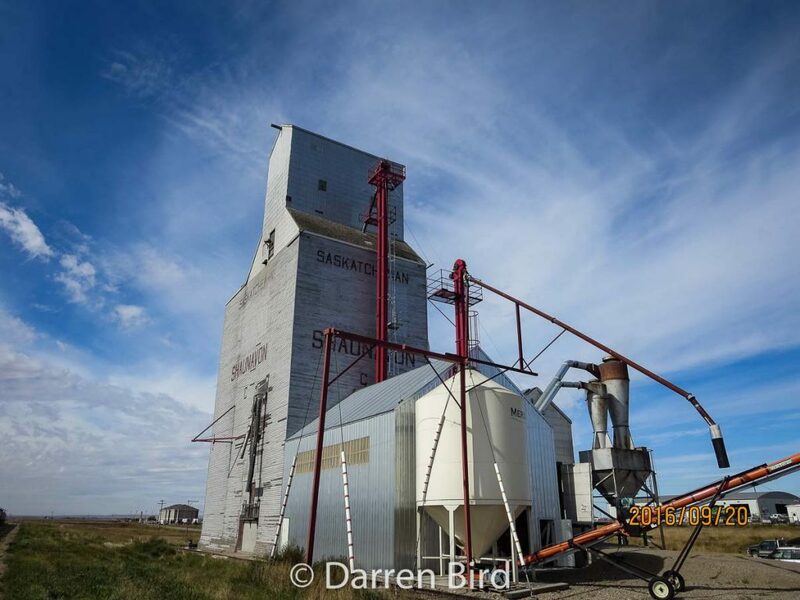 The Shaunavon “C” grain elevator, Sep 2016. Contributed by Darren Bird. 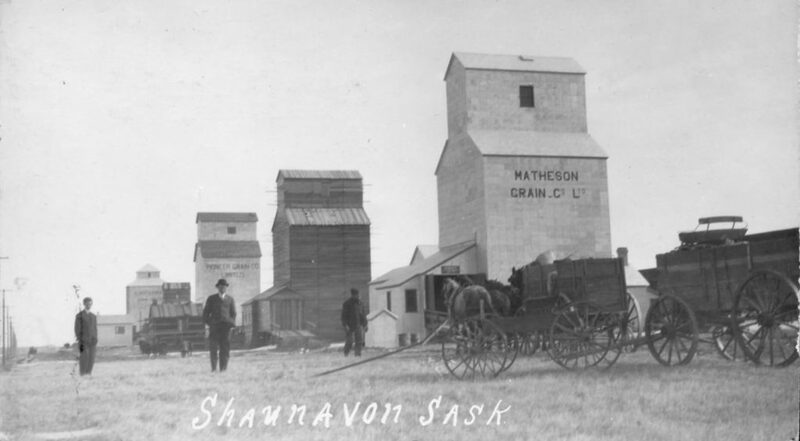 Historic photo of grain elevators in Shaunavon, SK. This photo shows four grain elevators in Shaunavon. The closest is a Matheson Grain Co. Ltd. elevator. The second is under construction, and the third is a Pioneer Grain Co. Ltd. elevator. I believe the fourth, older style elevator is an Alberta Pacific elevator.